Mediocre Musician: What is a "short scale" guitar? What is a "12-fret guitar"? Are they the same? 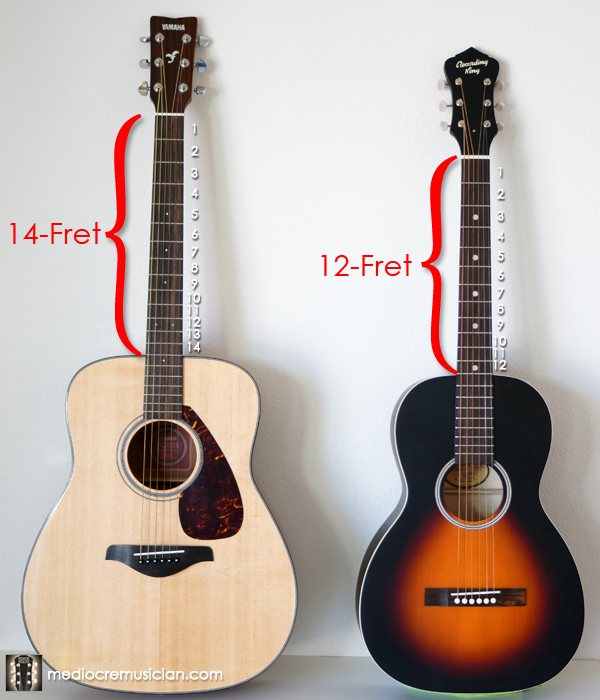 What is a 12-fret guitar? We'll start with the easiest questions first. When a guitar's "fret number" is called out, it refers to the number of frets from the nut to the top of the body. Most standard guitars these days have 14 frets from the nut to the body. Classical or compact guitars often have 12. 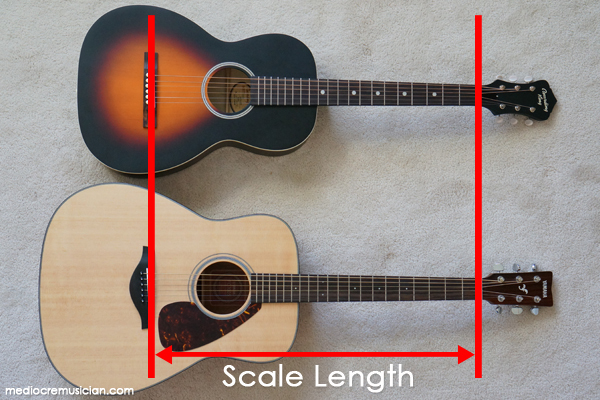 Scale length is another way guitar manufacturers can control the guitar's size. The shorter the scale length, the closer the frets are to each other. There are advantages and disadvantages to each--shorter scales might be better for holding chords, longer scales might be preferred for finger picking as an example. 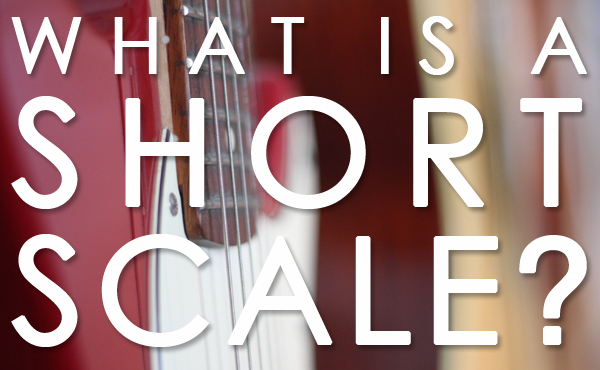 Okay, so what is a "short scale" guitar? This is where it gets tricky, because there is no standard definition of a "short scale". Different manufacturers have different interpretations of what they consider "short". Furthermore, this may vary by model and may even change with models over time. The term "short scale" by itself then, really doesn't say much as to what the guitar may or may not look like, and isn't as useful as knowing the measurement of the scale length.